We finally figured out what happened to the 4L80e transmission that kept us from backing up the 276mph record run. Apparently the flat towing was an issue as we had some parts that had lubrication issues. John McConnell, our transmission guy and close friend was telling me what he was seeing and he was a little perplexed until I told him how far we were flat towing and then realized what happened. Now we are wondering how to solve this. Is this a common problem when running automatics? Yes, flat towing can cause problems. How far did you tow? 7 miles back to the pits or 2185 miles back to PA? No, just back to pits. When I run down to the 7 mile mark, I betting it is over 10 miles to the pits. How about from the pits to the starting line? It is amazing how many miles you can put on the salt. If you ran course #2 then it is a long ways back to the pits. We have saved a lot of time/miles by not going back to the pits if we don't need to like on license runs. 2 runs on Tuesday and 4 on Wed. without going to the pits except for overnight and to fuel up again. Some times if we want to run early in the morning we go and get in line and then let cars go by and leave the car in line overnight. So is the problem the transmission pump only turns when the engine is turning and thus no lube when being pushed or pulled? Looks like a trailer, dolly or rollback or a manual . Does anybody make a free wheeling hub that bolts onto existing hub. Then maybe save a spares? 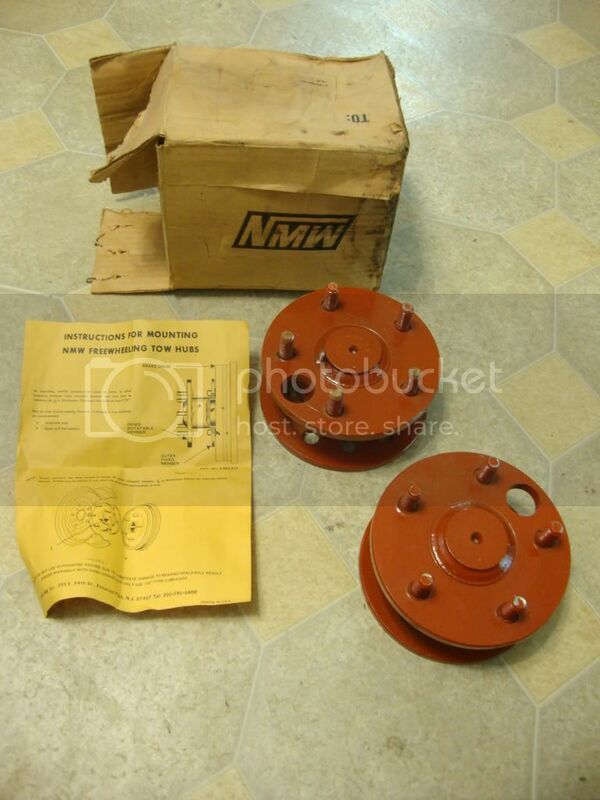 racingjunk.com has a set of "towing hubs" for $100. Learn something new on here all of the time . How easy is the car to jack and change wheels? You will qualify for the record again and will have only so much time to get to impound. No way we could make it in time having to do that also. i would really lean toward a tow dolly. the free wheeling hubs will only work with certain body styles. with a tow dolly, back the car on the unit, lock the steering wheel straight and go. when home the dolly can be stood straight up and save space. i towed all around the mid west with a tow bar, and would never ever do that again. tow bars are dangerous when raining [don't ask how i know] are hard to back up and have to be designed just right or they will not track. with the free wheelin' hubs you still have to have the front wheels on the ground, you still have to have a tow ball and light wires. plus all the time to change tires commin' and goin'. all in all the tow dolly is best hands down. ... with a 12 volt winch on the dolly tongue or the back of the tow vehicle to pull the car up on the dolly? Running on Course #1 certainly shortens your distance. Usually a much longer wait than #2. I still wouldn't want to chance screwing it up. I think we put 400 miles on our tow rig this year. Part of that was to and from the salt but a huge chunk was on the salt. I would opt for a trailer.